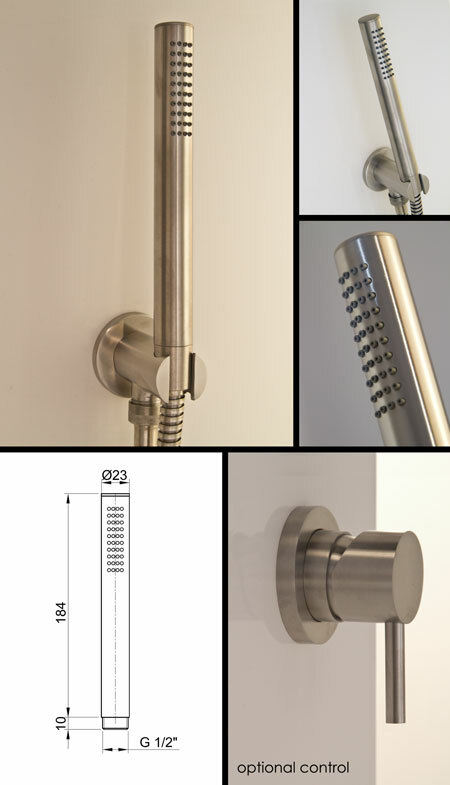 Designer shower styling with a luxury stainless steel finish, this shower head is cradled to the wall bracket which is also the water outlet. A handy addition to any shower the stainless steel has a satin brushed finish which is a unique alternative to chrome fittings. * Ideal for hair washing. * Ideal for easy cleaning.